A pressing challenge for IT and AV departments today is the ability to secure AV systems to the same level as the rest of their enterprise data networks. Because AV systems are now frequently used to carry mission critical information and facilitate highly confidential collaboration, any unauthorized access could impact overall site security, confidentiality, integrity or availability. With U-Access, user authentication happens at the U-Manage Portal or at the Utelogy user-interface, with their user login credentials. U-Access then connects to LDAP Servers, like Active Directory (AD), so it can send a response through U-Server to indicate the user is authorized. Administrators can now leverage existing IT groups and policies to deliver real-time authentication to limit who has access to the room as well as who can configure or control devices within any room. Combined with U-Manage Analytics, U-Access also delivers detailed reporting of usage by departments and individuals. For users, it means he or she can take advantage of BYOD and quickly login and share and collaborate in the rooms they have permission to access. This results in faster access and improved productivity for all classroom or meeting attendees. 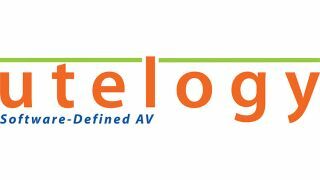 Learn more about Utelogy and U-Access at InfoComm 2017 in Orlando, FL,June 14 to 16, 2017.